Submitted by Eurgiga on 2018-11-21 12:04. One-hundred and forty (140!) 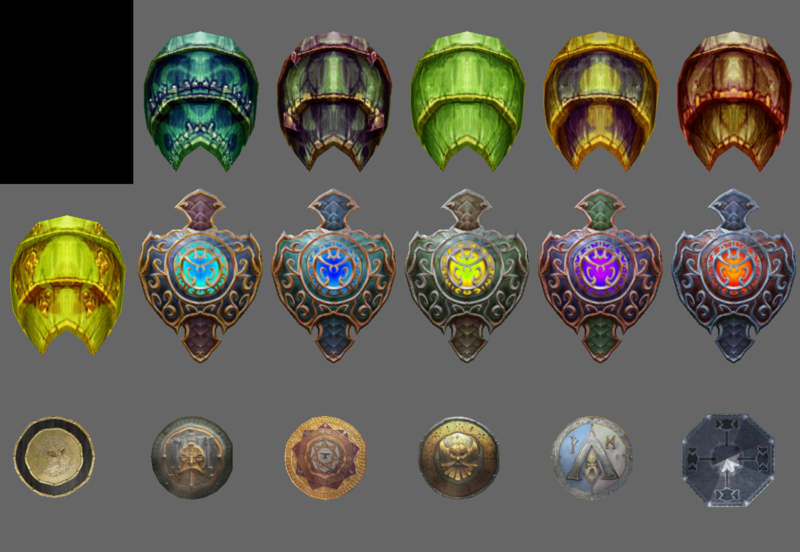 new shield appearances, some new and others from previous work I've done but haven't posted on the Vault. 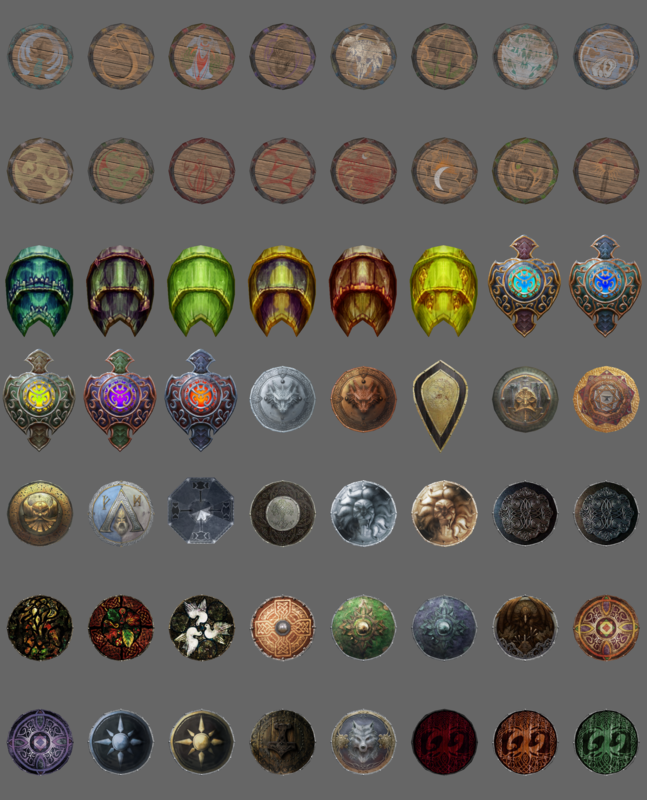 Includes a special set of Sigil logo shields for you Planescape buffs out there. - Something with Warhammer 40k? TECHNICAL NOTE: Always include TwrElf1.tga in any repacks of this content, many shields use it for their straps. All models are very lightweight, nothing clocks in over 500 polys! No demo mod this time, just the Hak! Again our friend Eurgiga on the front of the stage with a pack of shields in three sizes rather succeeds. I, who lacked shields Dwarves, I feel that I will be forced to edit my sheet 2da to return more than about seven hundred she already has in number of shields for my modules. This is what you wear when you need protection! 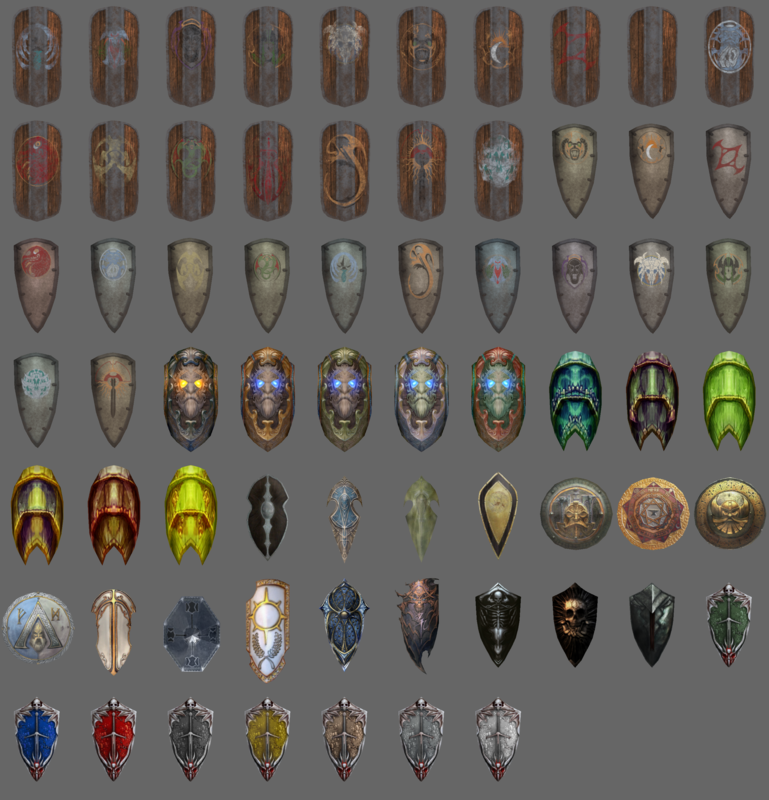 Some really lovely looking shields here. Gotta love love LOVE..... the big ones with the glowing eyes on them, and also the slightly smaller ones with glowing circles on them. (those are my personal favourites) I really like that they're all in different fancy colours, especially the attention to the intricate patterns on them too. Looks like a good amount of time has been spent on creating them. Again, they all look very nice!